Ready in 20 minutes this salad is perfect to accompany any meal or as a starter. 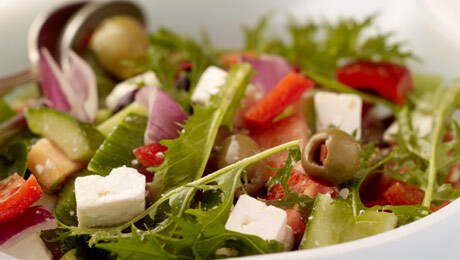 Combine the tomato, cucumber, pepper, onion, olives and feta cheese in a salad bowl. Sprinkle with the oregano and salt. Whisk together the lemon juice and olive oil and drizzle over the salad.